This language arts poster is one of a set of 12 posters that explain the different forms of poetry. 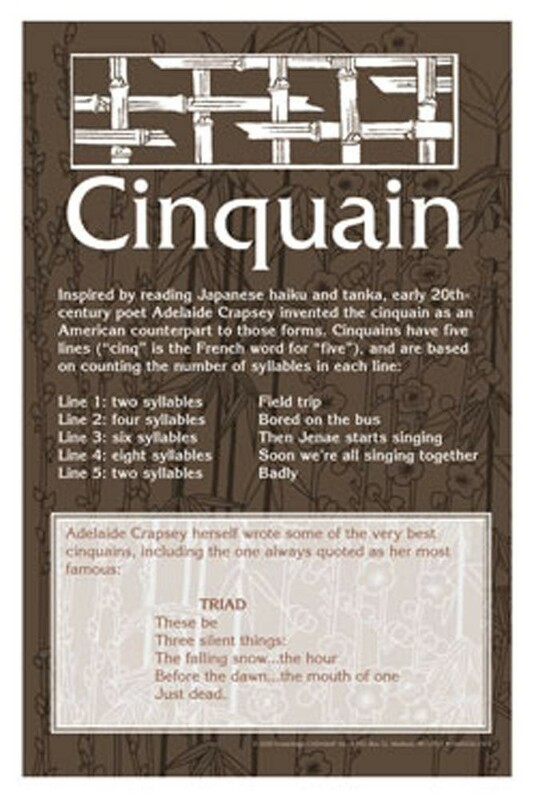 This poster explains what a cinquain is and how it was invented by early 20th century American poet Adelaide Crapsey, who was inspired by Japanese haiku. 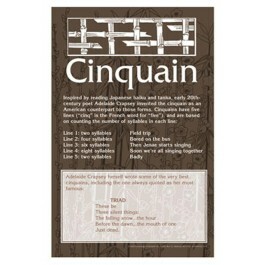 The poster features an example of a cinquain, written by Adelaide Crapsey, called "Triad."